Enjoy your next event/party on the Las Vegas strip. Smoked Burgers & BBQ in conveniently located inside The Forum Shops at Caesars Palace. 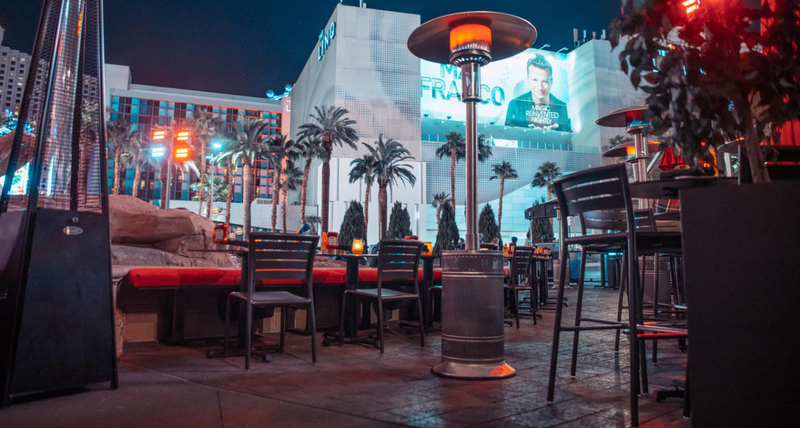 Our patio is directly on Las Vegas Blvd. Inside and outside we can shape the room to suit.